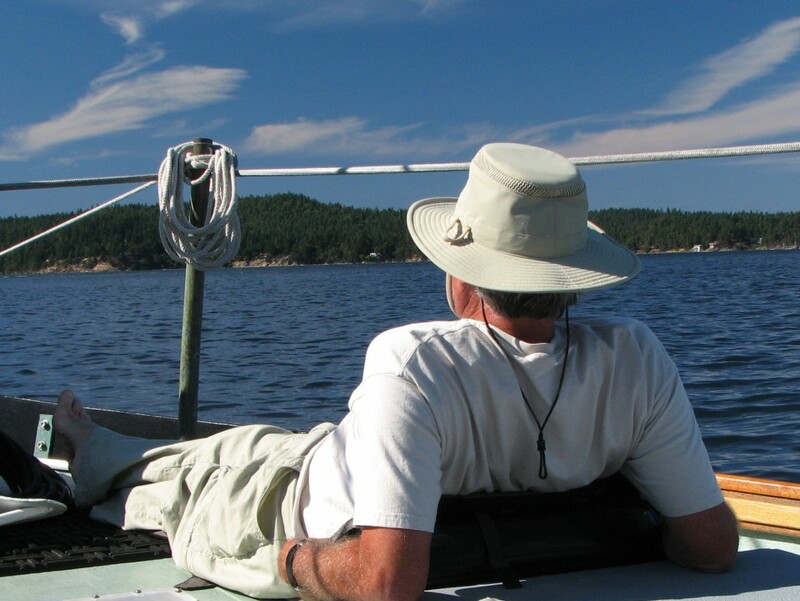 Are you plan­ning to retire to Canada? In eval­u­at­ing your immi­gra­tion options, a major deci­sion for retirees is whether you plan to live in Canada for more than six months a year. If you’re a cit­i­zen of the U.S., Великобритани, Австралия, Новая Зеландия, Япония, Республика Корея, Франция, Италия, Испания, or a long list of other European or Caribbean coun­tries, and you want to stay in Canada для less than six months within a one-​​year period, Вы можете come to Canada as a vis­i­tor. No visa or other spe­cial paper­work is required. Many Americans who sum­mer on Vancouver Island, Например, and win­ter in Phoenix or Palm Springs, live in Canada as vis­i­tors, head­ing south every year before their six months are up. If you’re a cit­i­zen of another coun­try (see the list on the Citizenship and Immigration Canada web­site), you can still come to Canada for up to six months a year, but you must apply for a Temporary Resident Visa. Do you have a child or grand­child liv­ing in Canada who is a Canadian cit­i­zen or per­ma­nent res­i­dent? Then you may be eli­gi­ble for the Родитель и Дед Супер Visa. The Super Visa will allow you to remain in Canada for up to two years. Even if you’re from a coun­try that doesn’t require a visa to visit Canada, Вы можете подать заявку на Супер Visa если вы соответствуете критериям, и вы хотите, чтобы остаться в Канаде более шести месяцев. To live in Canada per­ma­nently or for more than six months a year, you usu­ally must apply for per­ma­nent res­i­dent sta­tus. As a retired per­son, it can be more dif­fi­cult to qual­ify for per­ma­nent res­i­dence, since the gov­ern­ment con­sid­ers your abil­ity to work – and sup­port your­self – an impor­tant factor. Хорошей новостью является то, что edu­ca­tion counts. If you’re well edu­cated, you speak flu­ent English and French, and your spouse also has a uni­ver­sity degree, you’re more likely to qual­ify. A retired pro­fes­sor with a PhD is more likely to be accepted than a retired truck dri­ver with a high-​​school education. Another fac­tor is the amount of sav­ings у вас есть. Even though you’re retired, if you can demon­strate that you have ample finan­cial resources to take care of your­self and your fam­ily, Canada will usu­ally look more favor­ably on your appli­ca­tion. And if you have funds to invest in Canada, that’s another plus. You can learn more about the process of apply­ing for per­ma­nent res­i­dence from Гражданства и иммиграции Канады. If you have a fam­ily mem­ber who is already liv­ing in Canada, either as a per­ma­nent res­i­dent or cit­i­zen, they may be able to “spon­sor” you, which will expe­dite your appli­ca­tion for per­ma­nent residence. Однако, give care­ful thought to fam­ily spon­sor­ship. Your spon­sor must agree to pro­vide finan­cial sup­port for you, if nec­es­sary, for a period of three to ten years. Also note that Canada has tem­porar­ily stopped accept­ing fam­ily spon­sor­ship appli­ca­tions for par­ents and grand­par­ents, at least until November 2013. If you have a child or grand­child in Canada, you may want to con­sider the Родитель и Дед Супер Visa вместо. If you’re con­sid­er­ing retir­ing to Canada, plan ahead. Canada is more likely to give more favor­able con­sid­er­a­tion to younger peo­ple who are still in the workforce. Immigration lawyer David Aujla sug­gests that prospec­tive retirees should apply for per­ma­nent res­i­dent sta­tus before you’ve actu­ally retired. And it’s a good idea to spend time in Canada before you retire to fig­ure out where you’d like to live and become com­fort­able with your new country. Visitors to Canada are allowed to pur­chase prop­erty and to rent out that prop­erty when they are not using it. The British Columbia Real Estate Association has a use­ful guide to Buying and Selling Canadian Property for Non-​​Residents, and the Canada Mortgage and Housing Corporation offers a free Newcomer’s Guide to rent­ing and buy­ing prop­erty in Canada. Update: Considering where to retire in Canada? Check out this post on the Топ 10 Места на пенсию в Канаде.